Laura's Miscellaneous Musings: Happy Birthday, Julie Adams! 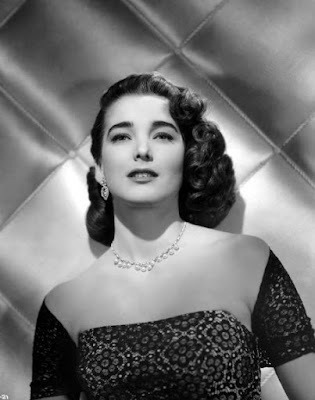 Beautiful Julie Adams celebrates her 89th birthday today. 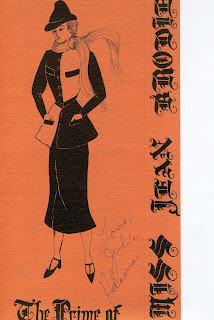 Julie was born in Waterloo, Iowa, on October 17th, 1926. 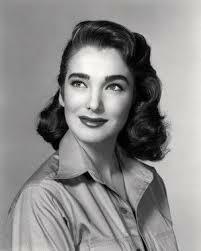 She shares a birthday with lovely Marsha Hunt, born in 1917. By coincidence I saw both ladies last month when I attended a memorial service for Coleen Gray. 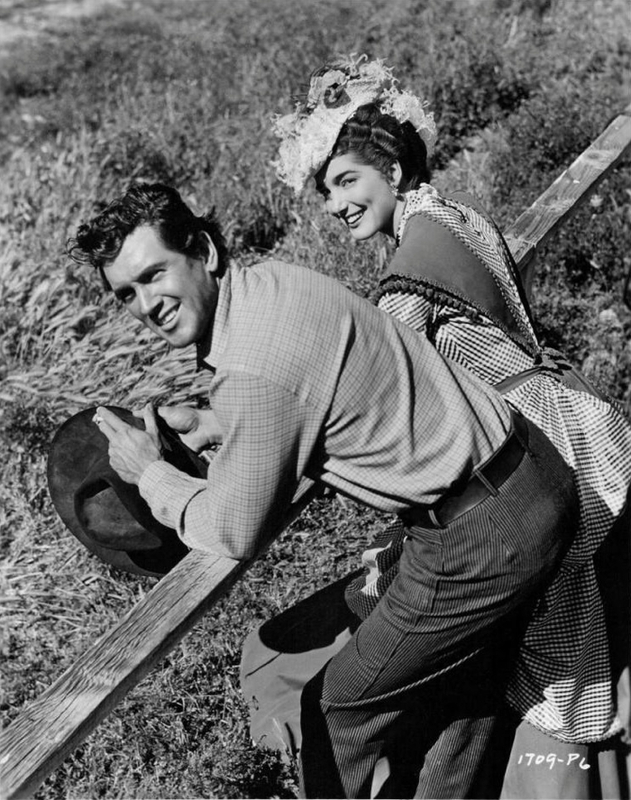 They both look wonderful and are absolutely charming. 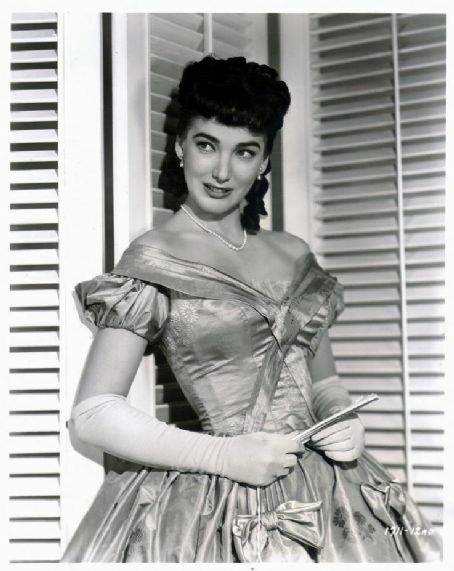 I'll have the privilege of seeing Julie speak next weekend at a screening of CREATURE FROM THE BLACK LAGOON (1954) at the Palm Springs Classic Science Fiction Film Festival. I first got to know Julie Adams' work when she was a guest star in two episodes of my favorite TV series, MAVERICK, which I discovered in reruns when I was a teen; one of those episodes, "Brasada Spur," is one of my very favorite MAVERICK shows. 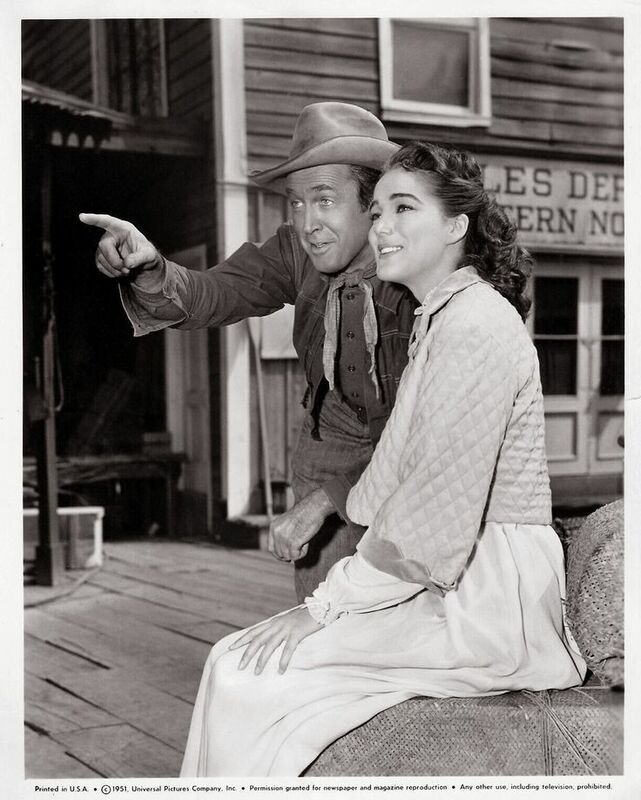 Having become a fan of both the show and Julie Adams at a young age, it was a thrill for me, as a high school student, to have a bit role in a stage production she starred in of THE PRIME OF MISS JEAN BRODIE. I recounted that story in greater detail here in 2011. 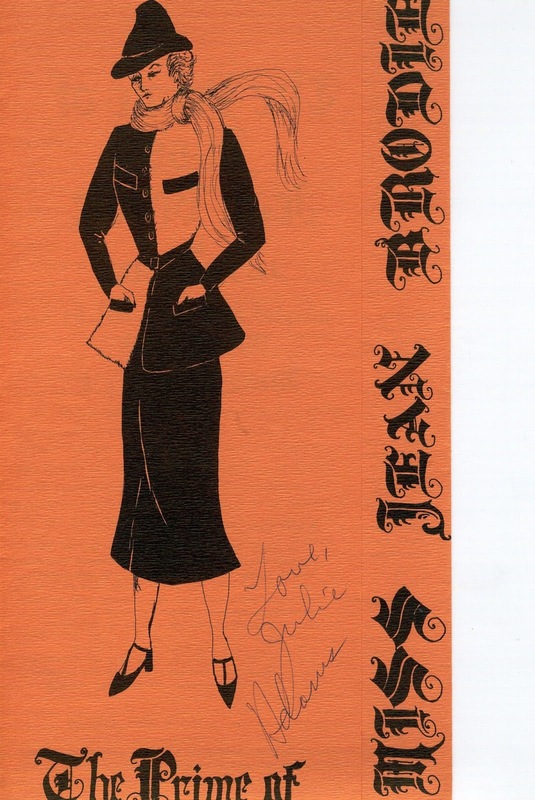 The signed program from that production is seen at the left. 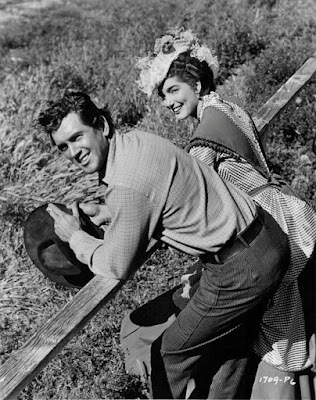 Julie was busy starring in movies at Universal throughout the '50s, including one of my all-time favorite Westerns, Anthony Mann's BEND OF THE RIVER (1952). I return to BEND OF THE RIVER regularly; it's "movie comfort food" at its very best! 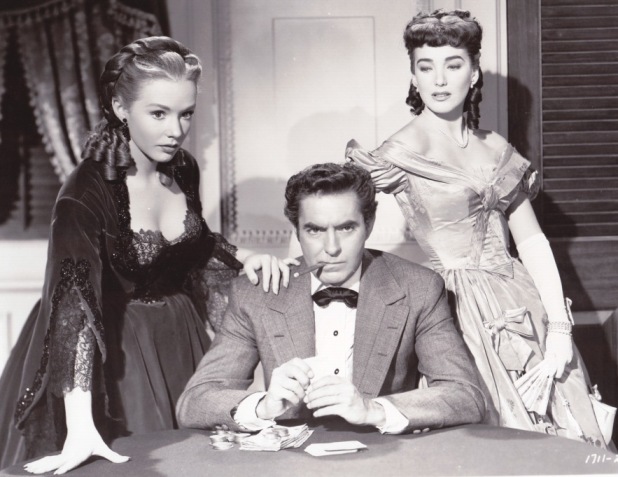 Julie's other fine films include THE MISSISSIPPI GAMBLER (1953) with Tyrone Power and Piper Laurie, and of course CREATURE FROM THE BLACK LAGOON (1954). 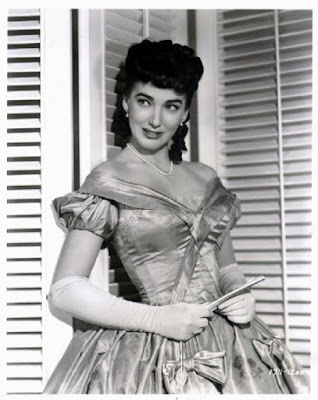 Like many actors, as the years passed she shifted into extensive work on television. 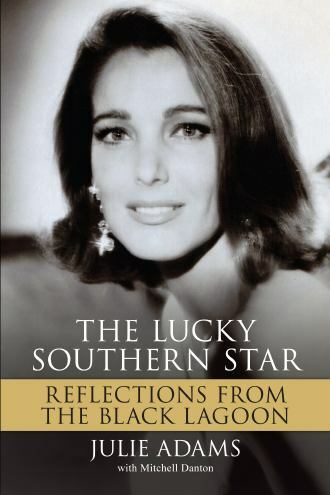 A few years ago Julie published a beautiful autobiography, THE LUCKY SOUTHERN STAR, which is filled with fantastic photos. Asked what happened to her famous white CREATURE swimsuit, Julie likes to say "It went the way of all Lycra!" 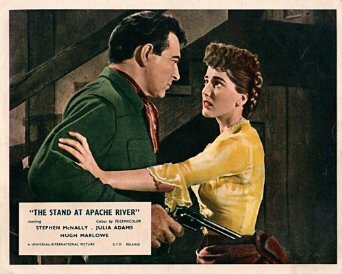 Julie Adams films reviewed at Laura's Miscellaneous Musings: BEND OF THE RIVER (1952) (also re-reviewed here), HORIZONS WEST (1952), THE LAWLESS BREED (1953), THE MAN FROM THE ALAMO (1953), THE STAND AT APACHE RIVER (1953), THE MISSISSIPPI GAMBLER (1953), CREATURE FROM THE BLACK LAGOON (1954), AWAY ALL BOATS (1956), SLAUGHTER ON TENTH AVENUE (1957), and THE GUNFIGHT AT DODGE CITY (1959). Other notable Julie Adams films include: HOLLYWOOD STORY (1951), BRIGHT VICTORY (1951), WINGS OF THE HAWK (1953), FRANCIS JOINS THE WACS (1954), THE LOOTERS (1955), ONE DESIRE (1955), THE PRIVATE WAR OF MAJOR BENSON (1955), SLIM CARTER (1957), THE UNDERWATER CITY (1962), TICKLE ME (1965), and THE WILD MCCULLOCHS (1975). 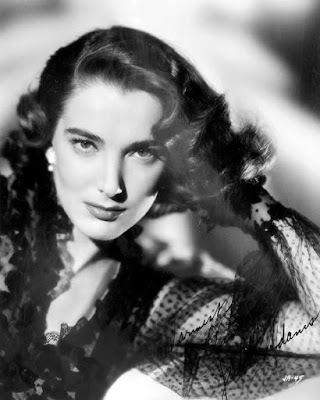 Related post: From My Collection: Julie Adams. Update: Here's an account of seeing Julie at the Palm Springs Classic Science Fiction Festival, including photos! Update: Here's a 2016 birthday post! 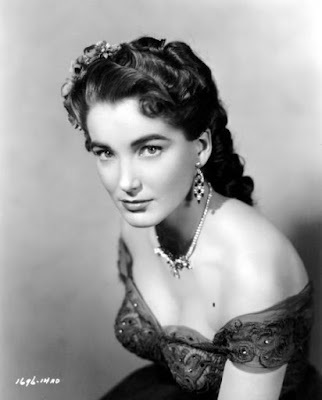 A very beautiful woman and a fine actress. Happy Birthday indeed!